Dog Eared Publicity: Dog Eared Publicity Presents Visions in the Dark Book Blast - Win a $25 Gift Card! 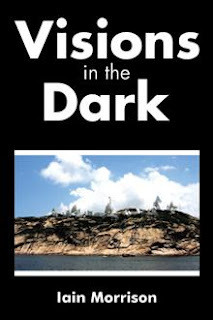 Dog Eared Publicity Presents Visions in the Dark Book Blast - Win a $25 Gift Card! When all sorts of accusations, denials, revelations, disclosures, and leaks are swarming and spilling around the security agencies of the United Kingdom and the USA, it is worse when the Snowden effect erupts. A bruised and slightly disillusioned Commander Elaine Black, training officer and senior security advisor at GCHQ Bude Listening Facility, is plunged into a bewildering and dangerous battle to make sense of and counter a desperate threat to British Security. Headless bodies, fire bombings, threats of chemical warfare unloosed on a small West Country town, apparently straightforward murders and the killing of a policeman make Elaine Black thankful for the involvement of a pair of incorruptible and driven police detectives and the experience and expertise that they bring to the party. However, as the stakes get higher and higher, Elaine is further gratified to have two old fighting companions on side. The question is, can the team confound the multinational conspiracy that stretches to the highest echelons of British and American financial and political establishments? Iain’s first novel, “Like an Ocean Shelf,” which was published in 2012, was set in the Scottish Highlands of his birth and upbringing. After moving to Devon to escape the rain and midges, Iain has written another thriller, this time set in beautiful North Devon but involving some familiar characters. Iain has also recently had a volume of two children’s novels published. Corrie’s Timeless Travels and Travails. There are two fantasy/time travelling stories loosely set in the Highlands of Scotland and suitable for juvenile-plus age groups. Iain is giving away a $25 Gift Card! This giveaway begins June 27 and ends on July 8. Winners will be contacted via email on July 9.